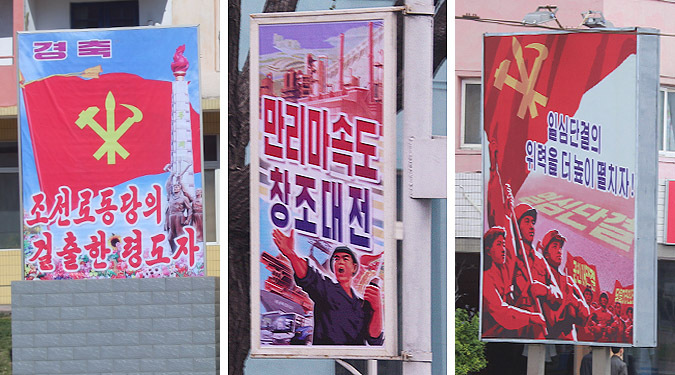 Anti-U.S. propaganda posters have mostly disappeared from Pyongyang and its environs, a review of mid-April photos shows, as have designs promoting North Korea’s missile and nuclear capabilities. Instead, posters and slogans are mostly now promoting topics including increased industrial production, scientific achievement and economic self-reliance. 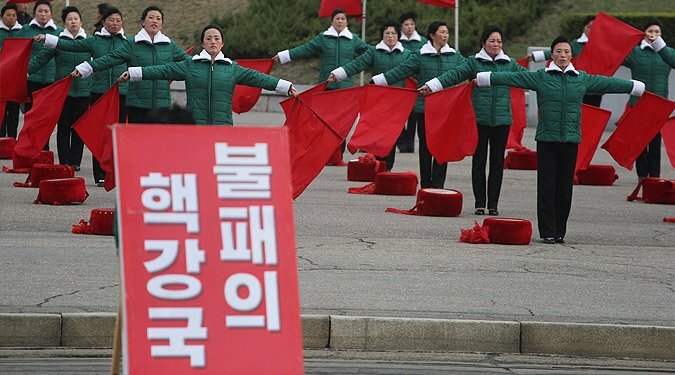 Of 103 photos of propaganda messages taken throughout Pyongyang and neighboring provinces this April, just two were anti-U.S. in nature and only two promoted nuclear weapons or missile capabilities. Multiple residents of the city confirmed to NK News this week that anti-U.S. and nuclear or missile-type designs had largely disappeared from view. 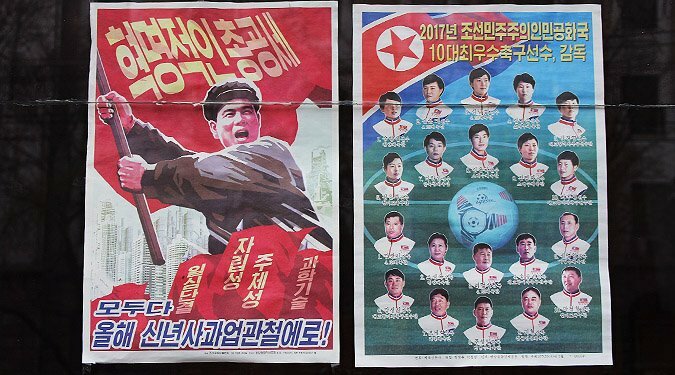 In addition, state media website DPRK Today on Wednesday showcased a new poster design consistent with the apparent new propaganda line. Ongoing rapprochement with South Korea following Kim Jong Un’s New Year’s speech is a likely major reason for the change in tone, one analyst said. 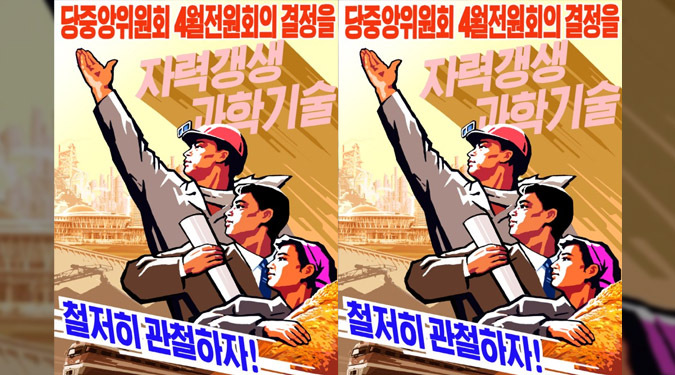 “Propaganda posters reflect broad strategic lines as well as shorter-term positions,” said Andray Abrahamian, a fellow at the Griffith Asia Institute. Notably, the change in domestic propaganda tone also matches a trend in North Korea’s foreign-facing media, which as of early April had largely stopped mentioning key topics of contention with the U.S. ahead of a forthcoming summit meeting between Supreme Leader Kim Jong Un and President Donald J. Trump. 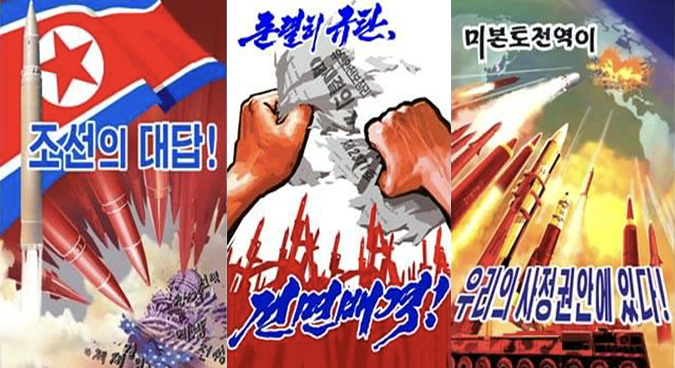 The tone of the recent 2018 domestic propaganda is sharply different to August 2017, when North Korean authorities released multiple designs depicting the destruction of American cities and military targets, as well as showcasing emerging DPRK weapons technologies. 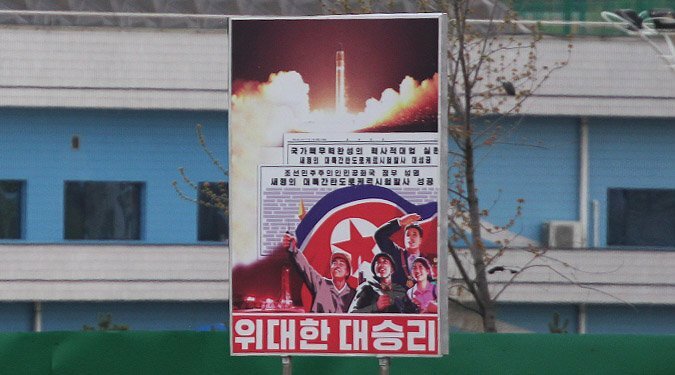 Pictures obtained by NK News last September showed several of those designs posted in windows and on signs around North Korea, as well as hand-painted anti-U.S. messages. 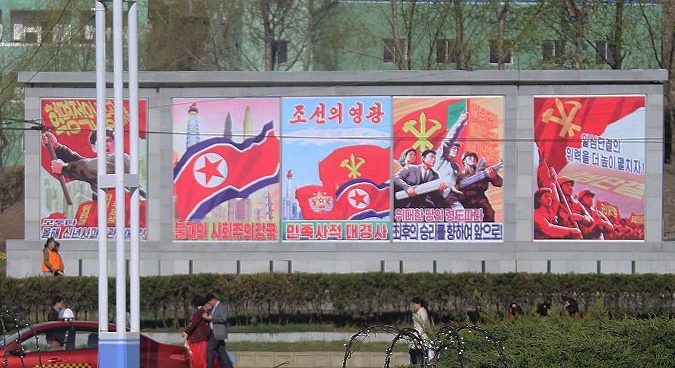 But while most of that material has now gone, some posters and slogans – potentially remnants from several months ago – continue to be visible in parts of Pyongyang. But in case the U.S. might be hoping for a quick route to DPRK denuclearization following the June 12 summit in Singapore, one message pictured adjacent to a female flag performance training squad appears to go against that idea. “Invincible Nuclear Power” it reads in the April dated photo. 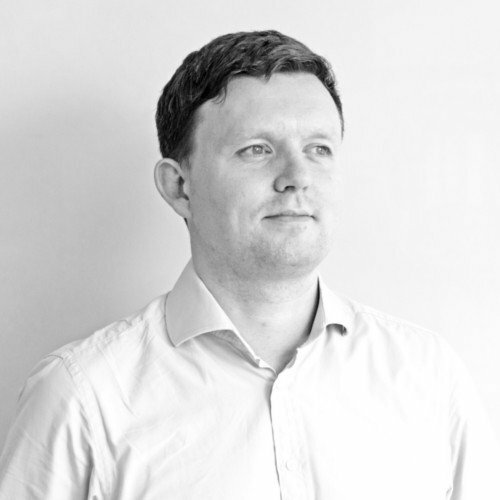 Subscribe to read the remaining 602 words of this article.